LAS VEGAS -- Every year at the International Consumer Electronics Show (CES), gadgets make headlines by getting thinner, faster and more powerful than previous models. But more important for small businesses are ones that can save money and energy. Direct from the floor of the annual electronics extravaganza, here's a look at five new devices that can help you save the planet as well as your bottom line. 1. An LED light bulb that won't break the bank: LEDs have been the brightest hope in re-inventing the light bulb, but high prices have made them a costly option -- especially to outfit an entire office. Satellite Beach, Fla.-based Lighting Science Group is looking to change that with their 60-watt World Bulb that saves you money twice. 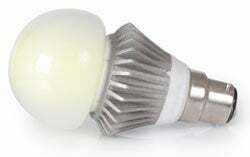 First, at a suggested retail price below $15, it might be the most inexpensive bulb of its kind to date. 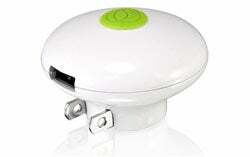 Second, it uses 85 percent less electricity than a standard bulb. And since Lighting Science Group says the World Bulb is projected to last 17 years, it might be a worthwhile long-term investment. 2. Charging devices, not wasting electricity: When juicing up a portable device, typical wall-chargers continue to draw electrical current, even after the gadget's battery is full. 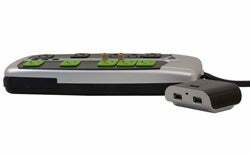 The Bracketron Stone GreenZERO Charger automatically shuts off after the device is powered up, saving money on your energy bill. Since most USB chargers cost around $25 anyway, (this one rings in at $24.95) getting one that powers your portables more inexpensively is a bonus. 3. 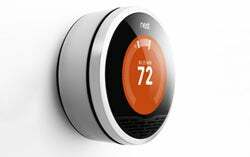 Cool off your electric bill: The Nest Learning Thermostat is more than a sleek-looking and functional replacement for your old-school thermostat. After the first week of use, this thermostat sets a schedule based on your preferences. For instance, auto-away features allow it to drop the temperature when no one is in the office. The thermostat can also connect to the internet via Wi-Fi, allowing you to set the temperature no matter where you are. With heating costs soaring into the thousands per year, this is one $250 upgrade that may pay off quickly. 4. A smart way to manage power: Part USB hub, part power strip, part surge protector, the GE Green Mobile Power Station is masterful at managing power to a range of devices, from computers and monitors, to peripherals and desk lamps. Using a lithium-ion battery to bolster charges, the mobile power station manages power to charging devices, and shuts off sockets after gadgets are juiced up. And even though the $119 device is energy efficient, it's still powerful enough to run printers, faxes, and servers. 5. Cutting the cord on Kindle charging: The SolarKindle Lighted Cover is a clever cover for the Amazon Kindle that not only charges the reader using solar power, but also illuminates the device with an LED light. 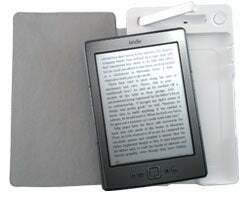 At $79, it charges in eight hours of direct sunlight and provides backup power to the Kindle. And because you're using solar power to keep your Kindle charged, you can focus on keeping your company's books current, not whether your e-reader needs more electrical current.